Child asthma finds the amazing cure with homeopathic treatment. Many pediatricians (child specialist doctors) in India opt for getting their own children treated for asthma using homeopathy. Homeopathy drastically reduces the frequency of attacks of asthma, reduce severity as well as the duration of the attack. Also, after using homeopathic treatment, most children may not require the use of steroid inhalers as often. It also helps to reduce the frequency of colds. Dr Rajesh Shah, M.D.(Hom.) has spent over 22 years studying various chronic diseases including Asthma. His research-based new molecules have worked wonders for Asthma in children as well as in adults. He has international patents (granted and pending) on his new molecules, which has changed the treatment protocol for asthma. Thousands of children and families have witnessed astonishing results using Dr Shah's treatment in last 22 years. Currently, Dr Shah's patients in 127 countries enjoy the benefits of homeopathic treatment. Homeopathic treatment is absolutely safe and free from any side effects. Also, it can safely be taken along with the conventional treatment. What to expect from homeopathic treatment? Reduction in the frequency attacks of upper respiratory infections such as Tonsillitis, sinusitis, ear infection, etc. What is the duration of treatment for Childhood Asthma? Most children (and adults) observe results in about eight weeks. The duration of treatment depends on several factors. Most children may require treatment for over eight months. What is the limitation of Homeopathic treatment? Homeopathic medicines enhance overall immunity and reduce the attacks of asthma. However, during the acute and severe attacks, it may not help. You may require taking conventional medicines during acute attacks, and the homeopathic treatment may be continued. Both the treatment can go hand in hand without any interference. How to get started with treatment with Dr Shah? 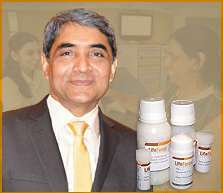 Dr Shah's online treatment works on simple 3 steps. Please click here for more details. Steroid Dependent Asthmatic Bronchitis, cured with Homeopathy. Asthmatic Bronchitis in a three and a half year old child treated successfully by Dr. Shah. 3 years old child was successfully treated with Dr. Shah’s medication for his steroid dependant Asthmatic Bronchitis.